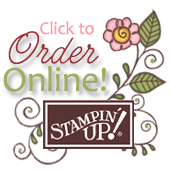 I'm in sunny Orlando, Florida for the 2018 Stampin' Up! OnStage Event. I'll be sharing some peeks of the event for the rest of the week. We picked up these goodies upon registration: Just look at the adorable 30th Anniversary Canvas Bag. Would you like to see a closer look at the Stamp set? It's call Amazing Life and will be available in January with the Occasions Catalog, but that's not the biggest news. The biggest news is that it's our new super cling stamp design! Sticky, Sticky! Cling stamps will be available starting in January. You're going to love them! Some of us went to Disney World last night, flambe' donuts were just one of many fun desserts.